Two weekends ago, I was in the Bay Area for a very short trip and as usual, I made sure to include some foodie adventures in the short amount of time I was there. I was able to spend a whole day in San Francisco since I was staying there with a good friend of mine. One of the places we went to was Tartine, the famous bakery in the Mission District. I have tried only a handful of items from their menu and I went this time intent on purchasing just one or two morning buns. Unfortunately, they were sold out of morning buns by the time we got there so I had to quickly decide what other sweet treat I wanted to get. 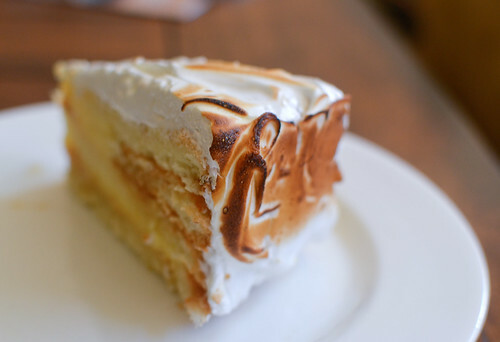 I quickly opted for the Lemon Meringue Cake (pictured above) because I love cake and lemon flavored desserts. One bite…and I was MADLY in love with this cake. I sat on a bench outside, slowly chewing, tasting and trying to identify the flavors that were in the cake. I tasted sweetness, tartness from the lemon, a slight bitterness, vanilla and a myriad of other more subtle flavors. I was mind blown at how much I enjoyed that cake that I really could not think of anything but trying to recreate that cake once I got home, especially since I own the cookbook AND have seen the recipe for it before! Well I went ahead and recreated that delicious cake! I’ll go ahead and say what you’re probably thinking: this is not a pretty cake. 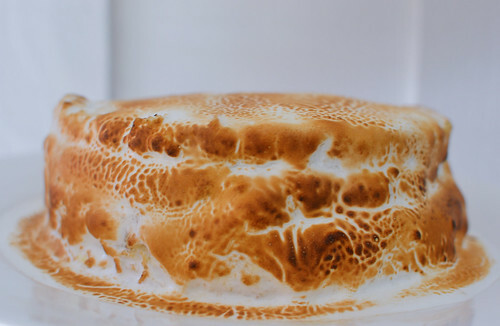 It could’ve been much more eye appealing if I didn’t let my meringue sit in the fridge for a while, deflate, and then frosted it flat onto the cake. The cake is definitely missing the pointy swoops and fluffiness of medium stiff peaks consistency. I also had to: ask everyone I know if they had a kitchen torch, end up purchasing one myself, run all over Culver City like a maniac looking for butane and overcome my fear of fire and small flames. 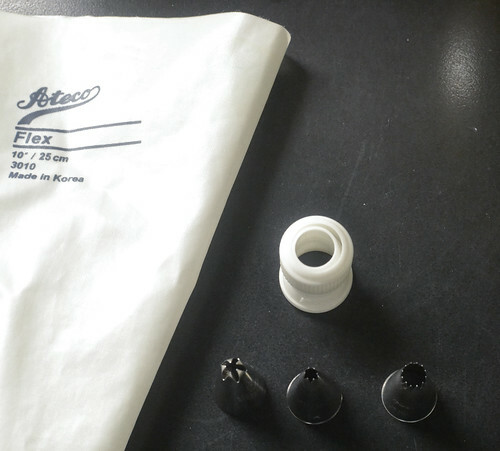 I never found butane (until yesterday -___-) and ended up using a gardening torch, which was a bit larger but worked just fine. Let me tell you though, even after all the trouble I went through to procure all the necessary ingredients (my first time purchasing a vanilla bean!) and kitchen tools (pastry brush, 10 in. pan, cake box), I’d have to say that it was absolutely worth it. This cake is probably the most delicious cake I have ever made! That’s just personal opinion though since I know not everyone likes lemon. 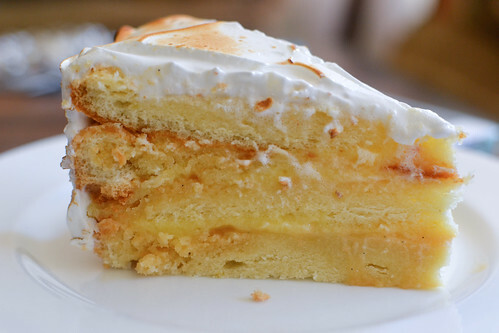 The other three components were the layers of chiffon cake, lemon syrup and Italian meringue. It would’ve been much better if I had made some of the components beforehand, but nope. I was feeling extra ambitious and decided to tackle the entire cake recipe, my hummingbird cupcakes from the previous post AND mac & cheese cupcakes all in one day. Let’s just say I spent 12 hours in the kitchen and 5 hours running around trying to find all the ingredients and tools for all three items. But even after all the hard work and effort, I can’t say that I regret any of it! I am proud of this cake (and have eaten it for breakfast) and know that next time I’ll just make some of the components beforehand and improve upon my meringue-making! * If you would like a copy of the recipe, feel free to contact me! It’s way too lengthy for me to post it all here, though I’m sure it’s out there on the web somewhere. From 4th grade (April 2000, which was when I first moved to America) to my senior year of high school, I lived in Venice, California in a small house with a huge front yard. Our front yard was easily twice the size of our actual house (albeit it was a tiny house), thus it allowed my grandma to grow numerous plants from seeds that she snuck into America illegally. Some of the plants on that yard included a guava tree, a mango tree that never quite grew past three feet tall or bore any fruit, a pomelo tree, an apple tree and of course the quintessential American home plant, the lemon tree. Because our trees produced bountiful fruits, I have never had to buy a single lemon (or guava) in my life. Thankfully lemons are not that expensive, which eased the pain of losing a lemon tree when I came to college. Like many things in life, I took that lemon tree for granted. I am only able to appreciate it now when I actually utilize lemons almost daily and frequently use it in baking and cooking. Not once did I make lemon curd or use lemons in my baking (aside from the occasional lemon zest) when that lemon tree was just outside my house. So I told myself that if I ever had such an abundance of lemons ever again, that I would make sure to use them creatively. Well, it didn’t take long for the plethora of lemons to arrive! During this winter season, I received so many lemons from friends with lemon trees (some that I still haven’t used!). 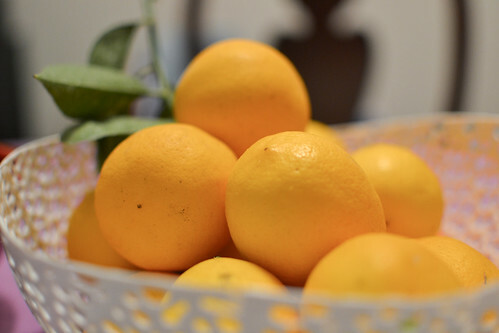 I didn’t realize how eager people are to give away their lemons because if you have a tree, it’s not likely for you to use all of the fruit it bears! 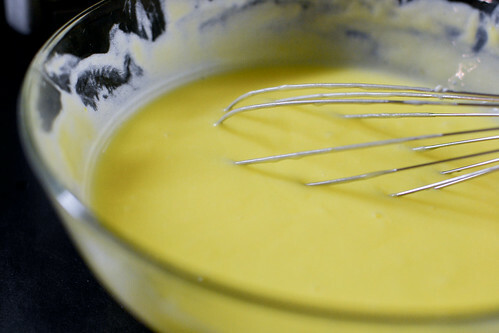 I promised myself that I would finally try making lemon curd and that I would somehow use that lemon curd for something pretty darn cool. 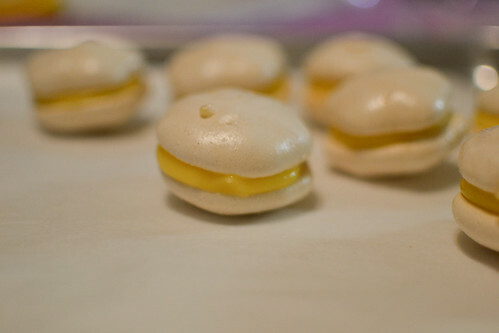 And that’s when I remembered this Lemon Meringue Cookie recipe from Joy the Baker that I remember starring on my Google reader a long time ago. I believe that the lemon curd recipe she used is actually from David Leibovitz (whose blog I also admire and follow) and it was delicious! 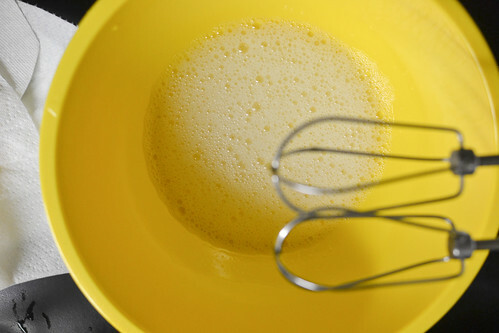 I made sure to bust out my bright yellow, lemon-colored bowl for my egg whites to be mixed in. 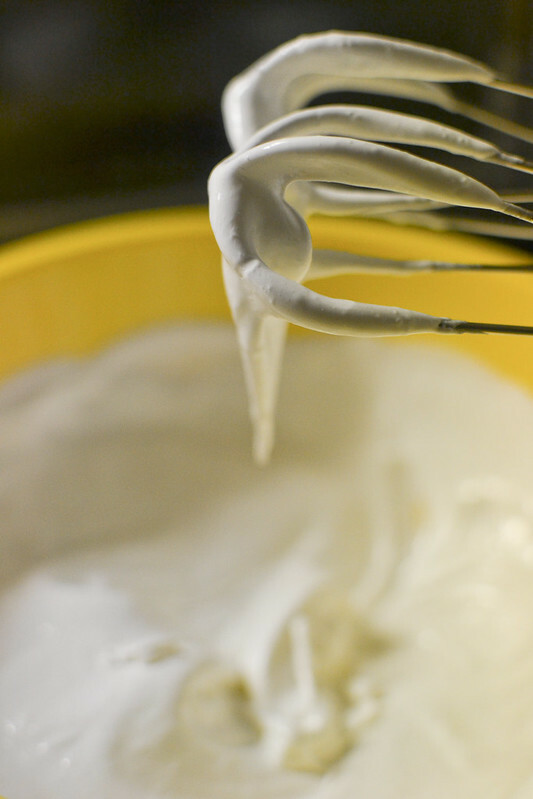 I always love the way egg whites + air = this fluffy white substance called meringue. I took out my piping bag and some of my piping tips and tried to find one that was closest to a star tip. Unfortunately my only star tip was rather small and so my meringue cookies really didn’t look like stars, but whatever because they were still cute and delicious. 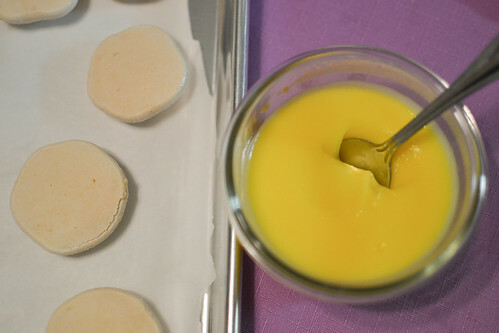 I do confess that I had a bit of trouble piping the meringue batter onto my baking pan because it seemed kind of wet. They did bake just fine though! 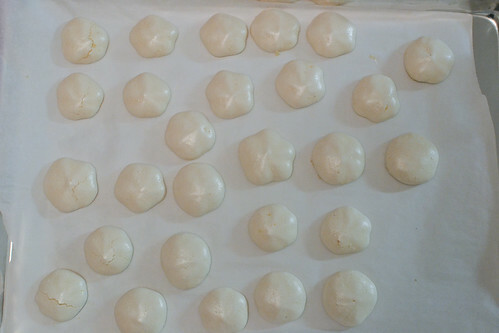 Note that this was my first time baking meringue cookies (I’ve only incorporated it into a batter for cake) so it was an exciting experience! 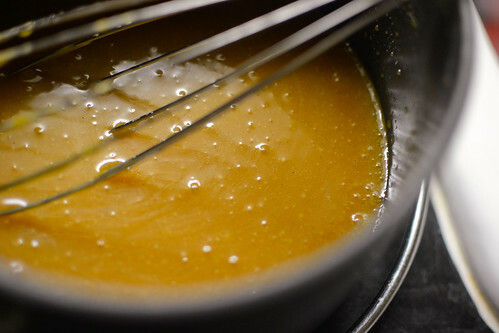 And that lemon curd was just seriously plain delicious. I may have had spoonfuls of it before I was able to get them on the cookies. But don’t worry, I washed the spoon!